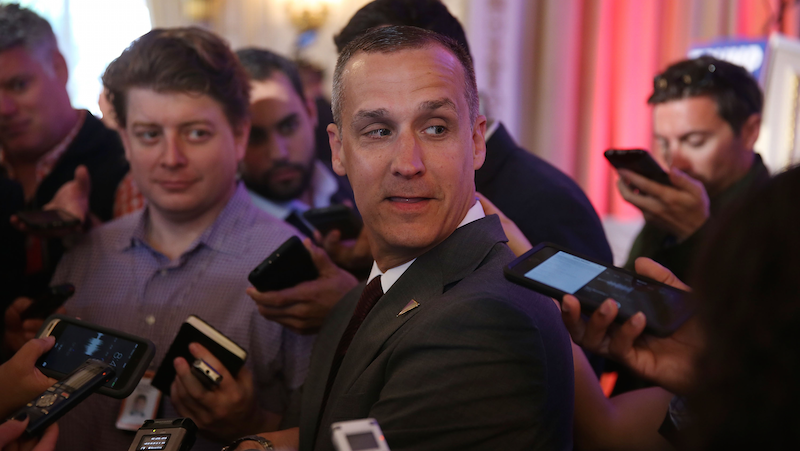 On Thursday, the Palm Beach County State Attorney declined to prosecute Corey Lewandowski, Donald Trump’s campaign manager, for battery. Lewandowski was charged in late March after former Breitbart reporter Michelle Fields filed a criminal complaint earlier in the month. According to a memo signed by Chief Assistant State Attorney Adrienne Ellis, the decision was made after determining that the evidence did not “outweigh the reasonable hypothesis of innocence.” The memo, shared on Twitter by WSVN reporter Brian Entin, acknowledges, however, that Lewandowski grabbed Fields and that his decision to do was so shortsighted. “Mr. Lewandowski could have called [the Secret Service] agent’s attention to her actions before taking action himself, if he believed she was a threat,” the memo reads. During a press conference, State Attorney Dave Aronberg seemed to imply that Lewandowski was lying when he insisted that he never touched Fields, yet said there was not enough legal evidence to proceed. “It’s our belief that any contact that occurred was incidental and not intentional,” Aronberg said. He also said that Lewandowski’s team had drafted an apology letter to Fields earlier this week and suggested that they send it. Aronberg also acknowledged that Donald Trump personally called the SA’s office and urged them “to do the right thing.” Aronberg reiterated that politics was not a factor in the decision but got a “kick out of the whole political angle.” When news of Lewandowski’s arrest broke, The Palm Beach Post reported on Aronberg’s ties to the presidential race. The Democrat, who served in the Florida Senate for a decade, was elected Palm Beach’s State Attorney in November 2012, has donated to Hillary Clinton’s campaign. Aronberg also attended law school with Ted Cruz. In a statement, Trump’s campaign said that Lewandowski is “gratified by the decision to drop the misdemeanor charge and appreciates the thoughtful consideration and professionalism of the Palm Beach State Attorney and his staff.” The statement added that the “matter is now concluded.” Fields still has the option of pursuing a civil case for defamation, but she has not yet indicated whether or not she will.